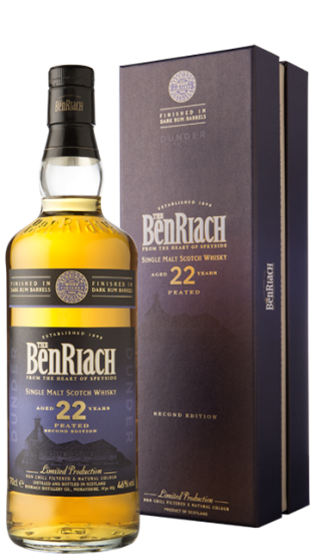 Tasting Note: Unusual for a Speyside malt, the BenRiach Dunder is distilled from PEATED MALTED BARLEY. The whisky is matured in American oak casks and then finished in DARK RUM BARRELS. ‘Dunder’ is the name of the cane-juice residue left in the still after distillation; traditionally used as a yeast source in the fermentation process of Jamaican rum. Bottled at natural colour and non chill filtered.